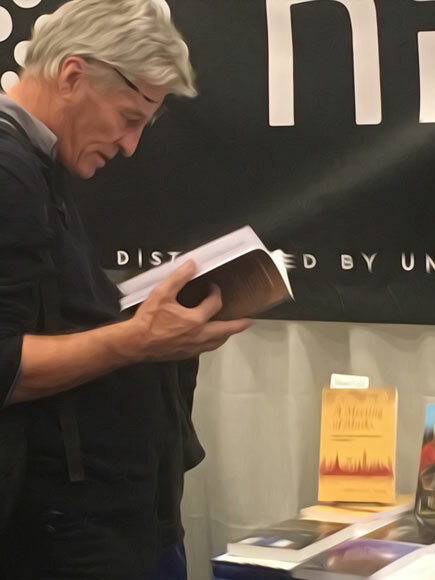 Anthony Hayes has a lot of interesting thoughts and advice to offer on the world of publishing and books more generally but in particular this post in a series on book proposals is especially fine. Thanks Anthony. Publishers routinely ask prospective authors for information about what the former call competing books. 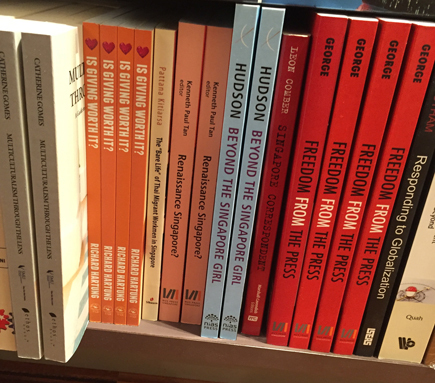 The paradigm case occurs in textbook publishing. Each academic or professional course is likely to adopt only one textbook as its primary reference. Thus textbooks exist in a state of genuine competition: typically several books are available, but only one will be preferred. It makes good sense in this case to provide detailed analysis and evaluation of each competitor and to provide explicit comparison and contrast to bring out what makes the proposed book distinctive and what advantages it offers. That is an interesting (and very relevant) question. The first issue is what and when. A foreword and afterword are different beasts. In reality, the first is an extended endorsement of the work; it should be solicited after acceptance (following a successful peer review). In contrast, an afterword is a contribution – of a similar vein to a concluding chapter – normally needing to be peer reviewed, hence solicited beforehand. Then there is how to approach. Knowing the person is always easier but otherwise it might help if you can quote someone who does (“I am writing at the suggestion of …”). Then again, I’d probably be more impressed by someone writing to me saying that THEY had thought of me because of my expertise in that area. If you can be even more specific (showing you know their stuff), all the better. I guess the only sensible thing I have to say is don’t scare the horses. An email rather than a phone call. A subject line that is intriguing enough for the person to read the mail (we all kill a lot of mails we receive without reading them). No suggestion you want a whole lot of work done (even if a decent foreword will take a day or two, an afterword maybe even longer). In this age of viral epidemics and ransomware, no attachments (you are a stranger – so just list the contents along with a short but compelling description). In short, think of this as sending out another book proposal but this time to a potential reader/reviewer rather than to a publisher. And if they haven’t the time to do this, out of guilt they might be prepared to write a short endorsement to go on the back cover. Always useful. As an academic publisher, I deal with all of our authors directly from the outset, often face to face (say, at a conference). There are no intermediaries (except for the occasional referral). As such, the world of literary agents and the mega-dollar book deals they are so often associated with are foreign territory for me. 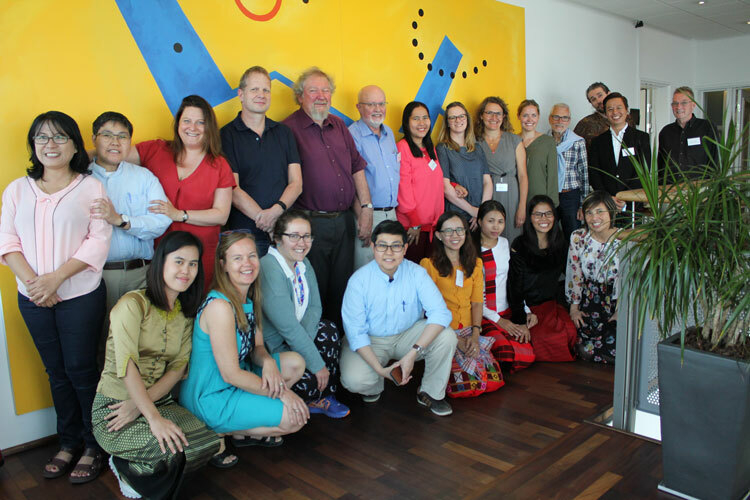 Most scholarly books are aimed at a quite narrow academic market (though often with related professionals also in mind – journalists, policy makers, NGOs, businesses and the like). However, some scholars (but pitifully few) are interested in and capable of writing for, and reaching, a much broader audience (TV historians being a good example). Handled rightly, their books can sell in the tens of thousands, or more, instead in the low hundreds (as typical for many scholarly books). If you have such a book in mind, there is probably little point in contacting me or indeed most academic publishers. You need to look elsewhere – and that is where literary agents are important. Sure, there are exceptions (for instance, the massive bestseller, Capital in the Twenty-First Century by French economist Thomas Piketty, was published in English by Harvard University Press). But in general such non-fiction bestsellers are not published by academic presses but by trade presses whose target audience is the general public rather than academics or professionals. This is a glitzy, high-stakes world where the minimum acceptable print run may be 5,000 or 10,000 copies – a very different world from that of scholarly publishing. And in that world a vital role is performed by literary agents in finding and fostering new talent, in finding the right publisher, negotiating the best deal and (not least) supporting long-lasting and successful writing careers. This is a dark art, little understood by outsiders. Every so often I am asked by a writer about how to approach a literary agent. I shrug and point them in the direction of publications like the Literary Marketplace. Really, I have few clues if I am honest. Today, I have learnt much more simply by reading a short post by Juliet Mushens in The Bookseller. Packed full of ideas and links to outside resources, it is an eye-opener. I hope her business booms as a result. The advice is simple. All the writing most students do up to and including the PhD is about showing what the writer knows. A book is about showing readers something they don’t know. To do that, it’s necessary to repeat some things they probably do already know, but the heart of the matter is explaining what a researcher has found that’s new and doing it in a way that readers will understand. The job of the publisher is to try to figure out if the topic will attract enough readers to make this a viable endeavour. Authors can help by writing for as broad an audience as seems reasonable. The editor of the Journal of Asian Studies suggests adopting the “one-over rule” – writing something that will interest readers who are adjacent to the author’s work geographically, and adjacent in terms of discipline. It’s sound advice. In this case the issue is writing for readers who don’t do [disciplinary field of book concerned] but would be intrigued by work from a writer who is. As usual, I attended the London Book Fair in mid-April (the last time it will be held at Earls Court in west London due to the fair’s ballooning size). In part this was to meet with authors and talk business with our partners. However, in addition, with its excellent seminar programme and hundreds of exhibitors promoting new products (e.g. in ebook conversion), the LBF is an ideal venue to explore new trends in the world of publishing. 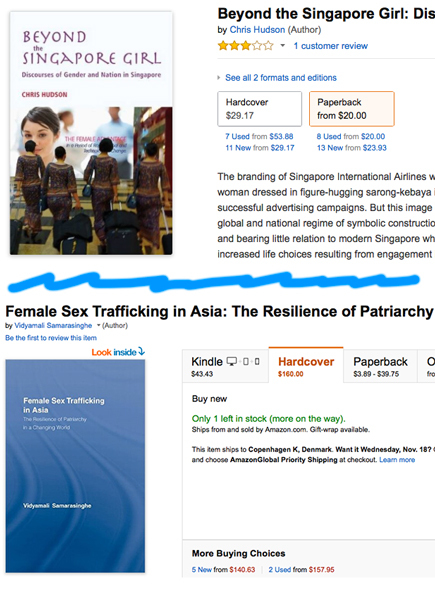 One phenomenon really starting to have an impact is self-publishing. In general publishing, the number of so-called ‘indie titles’ is growing in double digits annually with self-published authors likely to account for half of all books listed on Amazon within the next year or so. 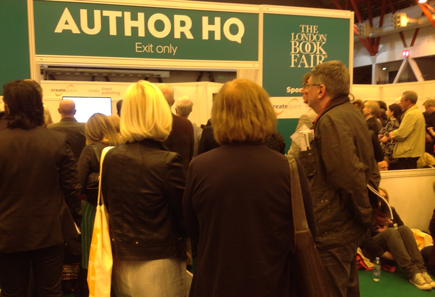 This upsurge could be seen at the LBF where the seminars aimed at authors were packed tight with crowds of attendees listening outside as well. So far, self-publishing has not really affected scholarly publishing because of the gatekeeper effect of the peer review process. Nonetheless, with more and more scholars working collaboratively and going down the Creative Commons route to produce course book material (for instance), that situation is likely to change.